What started out as an identifier for address mode in computer language back in 1970 has now become one of the most used symbols in international languages on Social Media platforms. The hash-tag (#) was once just a basic symbol very rarely used by those outside of the computer programming network but back in 2007 when Chris Messina proposed to use hash-tags to identify groups on twitter it changed the use of hash tag completely. Although it had been used in Internet Relay Chat (IRC) networks previously to label groups and topics it wasn’t until it was introduced on Twitter that it fully developed in to everyday use. 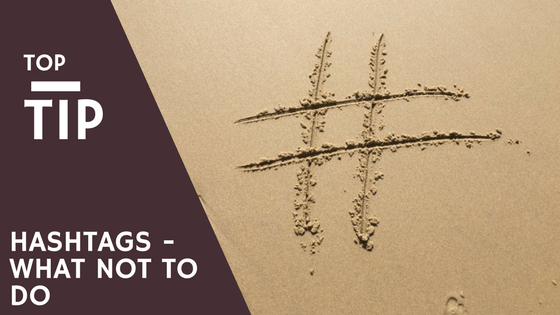 Hash-tags have become especially useful for business owners on Twitter to get their business notice, using trending hashtags to make people more aware of their business and in turn lead to new customers. However there is a downside to the hashtag phenomenon and that is picking the wrong hashtag. There are documented incidents where companies have not researched the use of a hashtag correctly and tweeted very damaging messages to their followers. For example the #McDStories, where Macdonald’s had hopes of people sharing their good stories about Macdonald’s and was connected to their #meetthefarmer campaign of tracking the story behind the supply chain of their products. The McDStories however was shut down 2 hours after release when people used it to relate stories on how they had been disappointed in the service or had become ill because of the food. This is a fail that is still seen today. Another example is the numerous Q&A hashtags that have popped up and very quickly disappeared again, from figures such as J P Morgan and Dr Mehmet OZ, who when opening themselves up to Q&As ended up with ridiculous questions unrelated to their business or related yet complete jokes. When planning on using a hashtag for your company it is best to research first, keep an eye on international news as sometimes if disaster has struck and you hashtag that area your tweet can become an offensive remark. Like the Celeb Boutique who mistook the hashtag #Aurora trending to be regarding their new Kim K inspired Aurora dress. The truth was that the hashtag was in relation to the mass shooting in a movie theatre in Aurora, this came off as very insensitive and upsetting. So when looking for a hashtag don’t just pick a random one hoping it will be effective, or pick one that’s trending without knowing why. Something as simple as a hashtag can cause great problems for a company no matter how big and impact how your customers see you. If you are not sure if it will be beneficial to your company then get a second opinion or just do not use it at all. If you use a scheduling software to schedule your tweets remember what it is you have picked as well so you do not automatically tweet something that has become insensitive or is no longer relevant.